Google has been branching out into new areas recently with the acquisition of Nest and Dropcam, but now it has partnered with TP-Link to make something new—a WiFi router called the OnHub. I know, you've already got a router, but this one looks pretty great as far as routers go. It will automatically adjust channels and bandwidth to suit your usage, it remembers your devices, it's got a speaker/Bluetooth, and there's a mobile app to manage it all. At it's most basic, this is a router capable of 802.11 b/g/n/ac at 2.4 and 5GHz. 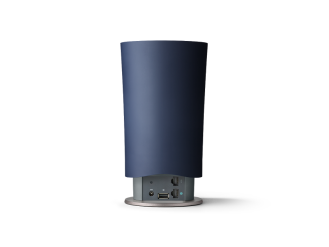 There's a circular array of 13 antennas to ensure a good signal, and the router's software scans every five minutes to find the least congested wireless channel. It remembers your favorite devices and how much data they tend to use, so it can allocate more bandwidth to them. A new app called "Google On" can be used to control the router from your phone or tablet as well. Interestingly, there's only one ethernet port on the back (gigabit), so you're probably supposed to add a switch for additional wired connections. This device clearly pushes wireless routing, though. So it does a lot of router things, but it's more than that. It has support for Bluetooth Smart (and a speaker so I assume you can play music), Zigbee, and Google Weave. It has a USB 3.0 port so you can have fast network attached storage too. 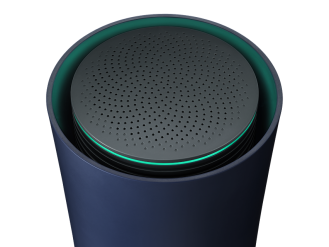 Google promises software updates that will make the OnHub more capable as time goes on as well. 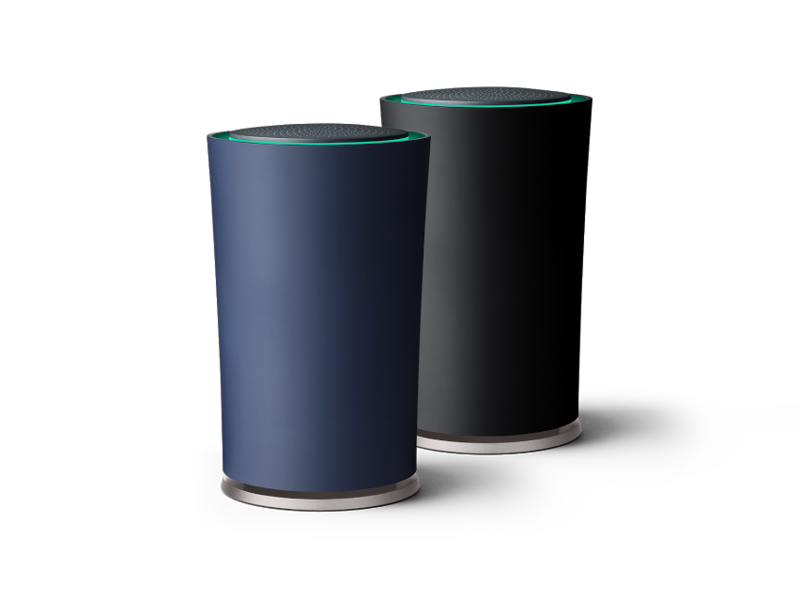 The router is available in black or blue from the Google Store for $199 with free shipping. Google is currently saying 2-3 weeks before the device will ship (edit: Google Store says the black is out of stock now). It will also be available soon (or as a pre-order now) from Amazon, Newegg, TP-Link, Fry's, and Walmart.